On 3 September 1939 the regiment mobilized for war as the 1st Battalion Essex Scottish Regiment under the command of Lieutenant-Colonel Arthur S. Pearson. 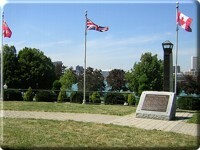 It was the first infantry unit in the Western Ontario Militia District to be included in the Canadian Active Service Force, and had recruited 22 officers and 445 other ranks from Essex, Kent, and Lambton counties by 10 September, the date Canada officially declared war. Before the month was over, the regiment had recruited to its full strength of 812 men (a sizeable portion of which were American) and 27 officers. 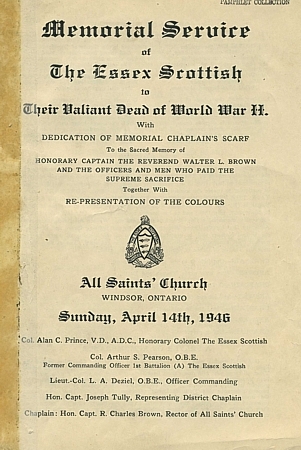 The men of the Essex Scottish trained in Windsor until May 1940 before beginning the next stage of training at Camp Borden, a huge armed forces base in Simcoe County. They were joined in the 4th Brigade of the 2nd Canadian Infantry Division with several other Ontario battalions, and left for Britain in July. In June, the threat of a German invasion was diminished by Hitler's decision to turn his attention eastward and invade the Soviet Union. The Essex Scottish continued to train in England for another year, during which time there was a constant movement of officers and soldiers to new assignments within the division. In February 1942, thirty-three reinforcements - twenty-five of whom were Americans, including the commanding lieutenant - arrived from the 2nd Battalion Essex Scottish. These men would be the last Americans to join the battalion now that the United States was also in the war. The spring of 1942 began like all seasons of the previous years, with attention focused on training exercises. At the end of May, exercises included climbing cliffs, firing from beaches, launching mock attacks on pillboxes, and practicing assault landings and withdrawals under smoke screens and darkness. 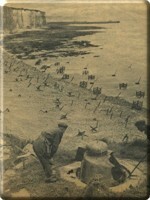 All through June the men rehearsed beach invasions on the Isle of Wight; getting all of the troops ashore the target beach at the right time was of particular concern to the 2nd Division's Canadian commanders. 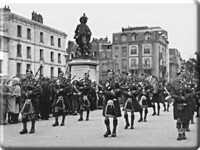 On 27 June, the Essex Scottish officers (and officers of the rest of the 2nd Division) learned that their preparations had been the prelude to an invasion on France; for the interests of secrecy the objective had been withheld. In the first week of August, the Essex Scottish moved to Middleton-on-Sea in Sussex. On 10 August they engaged in a five-kilometre run wearing full battle gear; the next day the men of C Company completed a sixteen-kilometre speed march in two hours, each of them hindered by twenty-two kilograms of equipment. The battalion practiced landing, assault, withdrawal, and evacuation to perfection. Thirty-one reinforcements arrived from the 2nd Canadian Division Infantry Reinforcement Unit on Friday, 14 August. The men were allowed to relax over the weekend. 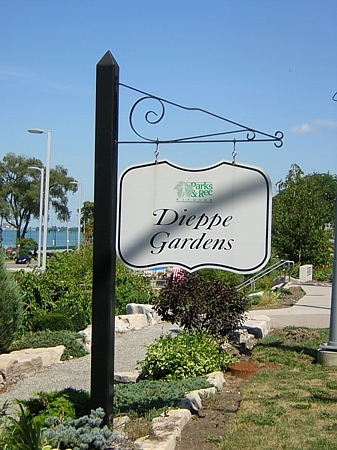 On Monday, 17 August, preparation began for Operation Jubilee, the invasion of Dieppe. After the 1st Battalion, Essex Scottish Regiment was devastated in that fateful raid, it had to rebuild. The men, almost all of them recent arrivals, celebrated Christmas in England that year with a party for the children of Middleton-on-Sea and Elmer. They passed out candies, which were a rarity, secured from packages they had received from home, and feasted on a dinner of chicken, boiled potatoes, buttered carrots, custard, and cake or pudding. As a bonus, each man received a quart of beer and three hundred cigarettes. 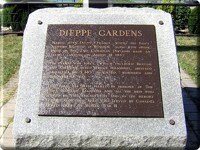 Five months after Dieppe, the unit had regained enough strength to allow the seventy-three American citizens in its ranks to transfer to the United States Army. During the same time, Major Bruce Macdonald, second-in-command of the Essex Scottish, returned from his command at the 4th Brigade Battle School, and took full command of the battalion in June as a Lieutenant-Colonel. Training exercises resumed. "And so a most interesting life in the year of our Regiment ends, a year in which under two C.O.s we completely recover from the disaster of Dieppe. We face 1944 realizing how portentous it will be for us, but with complete confidence in our own ability and that of our comrades to face any test of perform any task given to us, with credit to the finest and best traditions of the Regiment." The men of the unit were well aware that it was only a matter of time before they were called to the front again. The tide of the war had turned: the Soviets had won a monumental victory at Stalingrad in the winter of 1942 and were pushing the Germans west. The Americans and British had driven the Italians out of North Africa and were battling up the boot of Italy. The Japanese were suffering a series of defeats in the Pacific theatre. That spring, the Essex Scottish prepared to go to France again. General Dwight D. Eisenhower, Supreme Commander of the Allied Expeditionary Force, initiated the invasion of Normandy on 6 June 1944. Five infantry divisions landed on Juno Beach, supported by three airborne divisions with heavy bombers and fighter-bombers, battleships, cruisers, tanks, and artillery pieces in landing craft. 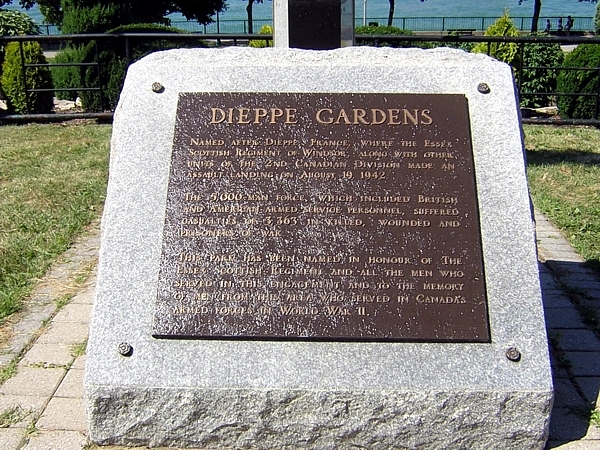 The success of these inexperienced infantry men only highlights the tragedy of Dieppe, as the lessons learned on that fateful day in August 1942 had been, or should have been, learned long before General Louis Mountbatten committed the Canadian Army to Operation Jubilee. 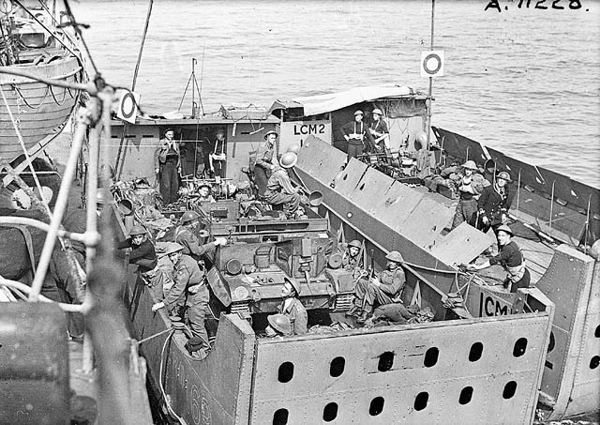 The Essex Scottish arrived in France for the second time on 6 July 1944 as an element of the 2nd Canadian Infantry Division and part of the invasion beachhead exploitation force. They moved inland five days later and made contact with the enemy. While the invasion of Normandy had gone according to plan, the Allied expansion from the beachhead was behind schedule. With the infantry divisions were sustaining increasing casualties, Field Marshal Bernard Montgomery launched Operation Goodwood, an attempt by the British to drive three German Panzer divisions out of the Caen. 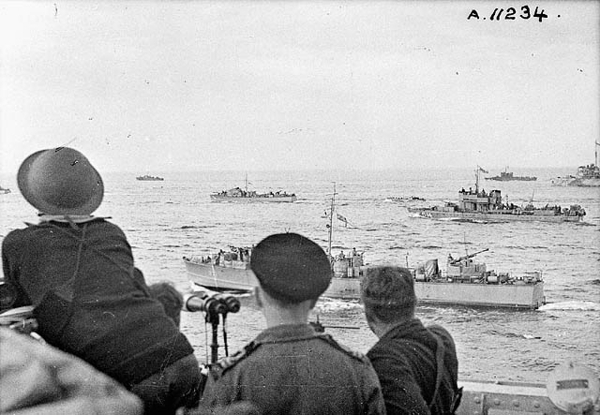 Two divisions of the Canadian army were to support the British offense with Operation Atlantic. The campaigns were launched on 19 July, and three objectives were captured by nightfall. The next day's objective was the capture of Verrieres Ridge. The Essex Scottish acted as the supporting battalion for the South Saskatchewan Regiment, which advanced directly up the slopes of Verrieres Ridge through waist-high wheat toward the objective. But as they came within sight of the summit, a sudden torrential downfall rendered the air support from Typhoon fighter-bombers useless and turned the ground to mud. The 1st S.S. Panzer Regiment seized the opportunity to counter with tanks and infantry, destroying the South Saskatchewan Regiment's anti-tank guns before they could even be fired, forcing the Canadians to retreat past their support lines. The forward companies of the Essex Scottish faced a formidable situation. When the commanders of A and B Companies of the Essex Scottish saw the retreat of the South Saskatchewan, they decided to withdraw without orders from battalion headquarters. Enemy tanks and infantry cut C Company off from the rest of the battalion. Number 17 Platoon of D Company was lost. 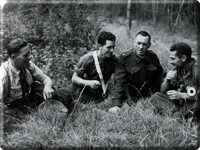 Battalion headquarters was surrounded and Lieutenant-Colonel Macdonald was out of communication with brigade headquarters. 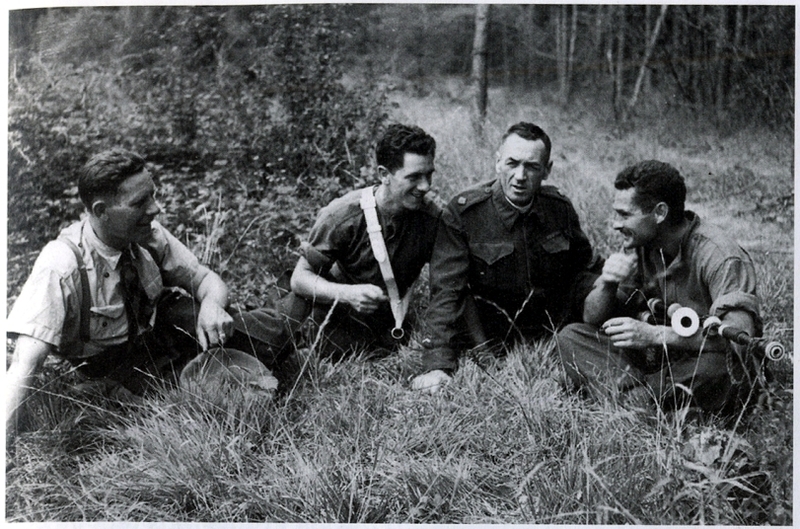 Mud jammed the mechanisms of the Bren guns and the men tore their shirts to try to clean them. Two weeks later, the Allies nevertheless managed to break through the German line on Verrieres Ridge. The fighting in France in the month of August was slow, but Germans defenses were faltering and the Canadians were pushing them out of the occupied territory and reached Belgium by September. There was a lull in the fighting over the winter before fierce hostilities picked up again in February 1945. Germany was drained of its last reserves during the Allied push to the Rhine River. Having already paid a heavy price to help drive the Germans from the west bank of the Rhineland, the 2nd Division infantry was not included in the initial crossing operation in March. 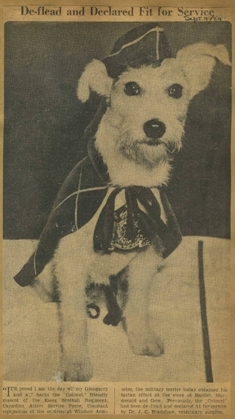 The Essex Scottish instead moved into the Netherlands to dismantle German defenses there. After liberating the town of Assen and clearing the Groningen area in mid-April, they advanced back into Germany to support the British. The men of the Essex Scottish were in the city of Oldenburg when hostilities ceased at 8:00 A.M. on 5 May. 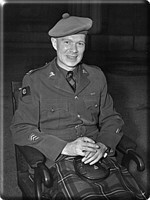 Major Ken MacIntyre, the last of the 1st Battalion's original offivers from September 1939, drank a toast to the end of the war in Europe with the other company commanders in his office. 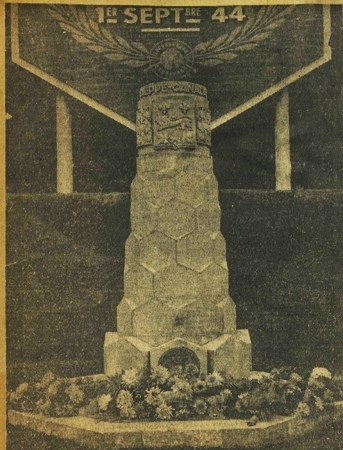 The Allies proclaimed victory three days later. The efforts the Essex Scottish had exerted in the Northwest Europe campaign were not overlooked. On 22 May, Major Frederick Tilston was awarded with the Victoria Cross, the British Commonwealth's highest decoration for valour, for his actions in Hochwald in February, during which he lost both legs. 4 He was invested at Buckingham Palace one month later by King George VI. 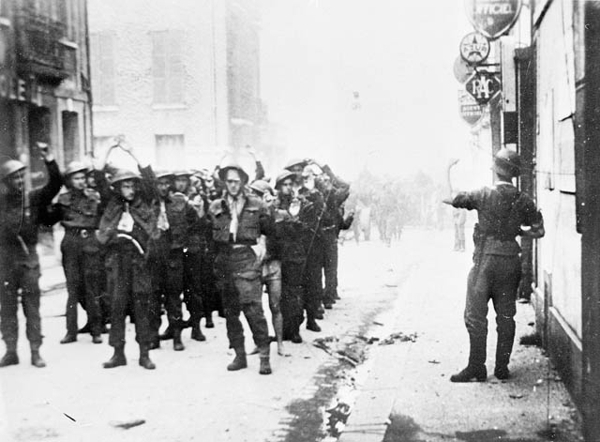 In the meantime, the battalion sent a small delegation to Westende, Belgium, to witness the renaming of the street it had occupied when it forced the surrender of the German strong point the previous September. As the town's mayor had promised, that street was rededicated as Essex Scottish Laan. The balance of the 1st Battalion Essex Scottish touched Canadian soil again on 20 November 1944, arriving in Halifax, Nova Scotia on board the Queen Elizabeth, the world's largest ocean liner. The next day they arrived in Windsor to a royal welcome, even though only twenty percent of the battalion called the Windsor area home, as opposed to the great majority who had made it up in 1939. Five thousand men served with the 1st Battalion Essex Scottish between 1939 and 1945. Ten percent of them - 553 - were killed. Another 2,000 had been wounded. All of these casualties occurred in eight months of fighting - the Dieppe raid, and then sixteen battles fought in quick succession from July to October 1944 and February to May 1945. Twelve men of the pre-war militia had attained the rank of lieutenant-colonel or higher during the war. The eighteen Battle Honours won by the battalion and the casualties reflect their bravery: it was the infantry had that pushed the Germans out of northwest Europe, advancing and holding strong in the face of enemy fire. In the early morning hours of Tuesday, 18 August 1942, the men of the B and C Companies and battalion headquarters moved to Southampton, where they boarded the Prince Leopold; A and D Companies boarded the Prince Charles at Portsmouth. 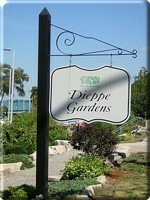 After the men were on board the ships, they learned that the assault on Dieppe would begin the next day at dawn. 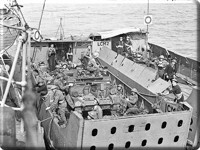 The Essex Scottish, along with the other companies involved in the raid, were the first Canadian ground units to see action. The mission was ambiguous. Two infantry brigades and a tank regiment were to land on the beach in front of the town and then destroy its defenses, including the airdrome installations at St. Aubin, five kilometers away, German radar and power stations, docks and rail facilities, and remove secret documents from the German headquarters at Arques, seven kilometers away. All this was to be accomplished before dark. But when the raid was launched, the infantry was not supported by sufficient airborne or naval elements. Instead using heavy bombers to neutralize artillery batteries behind the coast and to raid St. Aubin as per the initial plan, the Royal Air Force supplied lightly armed fighter-bombers. The original plan also called for the men to be transported across the English Channel on two battleships, which could lend heavy fire support to the assault troops, but the Royal Navy had lost a battleship and a destroyer in the Japanese attack on Pearl Harbor and could not risk any more of its capital ships. 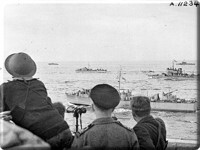 The men of the Essex Scottish sailed on seven infantry landing ships escorted by six Hunt Class destroyers instead. Altogether, the naval force that was to carry eight units of men to five widely dispersed landing sites consisted of thirteen separate groups totaling 237 ships and landing craft. The ships began to leave port on 18 August after dark at 6:25 P.M. to conceal their departure. Excitement was running high among the men of the Essex Scottish when they boarded the troopships and Tank Landing Craft. They were armed with pistols, Bren and Sten guns, grenades, and incendiaries, but were short on ammunition for the Stens and Bangalore torpedoes. Commanding Officer Lieutenant-Colonel Fred Jasperson had to scrounge up Thompson submachine-guns and ammunitions from the stores of the Prince Leopold. The men went to sleep at 11:00 P.M. and were awakened at 2:00 A.M. They began loading the Assault Landing Craft at 3:00 A.M. after eating a light breakfast and were loaded into the English Channel twenty minutes later. Some of the men slept during the hour-and-a-half ride, while others sang songs. The aircraft began their assault at 5:00 A.M. Ten minutes later, German shore defenses began to fire on the invading craft. At 5:15, the destroyers began bombarding the German positions on the east and west beachheads. At 5:25, slightly behind schedule, the men of the Essex Scottish stepped out of their boats and onto Red Beach, the eastern half of the main beach. The leading soldiers were to erase the first barbed wire obstacles, coils of concertina wire placed ten meters from the water's edge, with Bangalore torpedoes (long pipes filled with explosives) but many of the men armed with these explosives were killed before they could detonate them. Private Tom McDermott threw his body over the coils so that his comrades could walk across his back like a bridge to get to the second blockade of barbed wire between the shore and the sea wall at the base of the Promenade. Commander of the A Company, Captain Dennis Guest, realized that he and his men had been landed west of their assigned sector west of the beach. By the time he leaped over the barbed wire at the water's edge, only about thirty-five men were left in his company of 108. 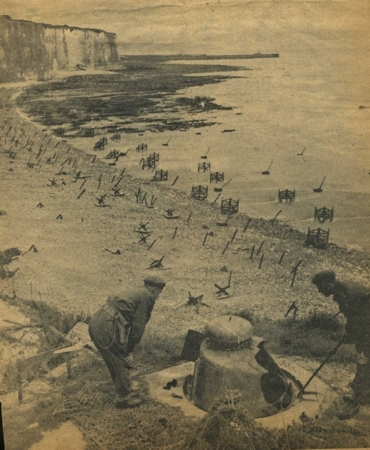 The company's mortars had been lost in the landing, and it was left without a way to suppress enemy fire from the headlands or to penetrate the meters of barbed wire protecting the top of the sea wall. "I feel I want to write an open letter to you and to all the wives, mothers and loved ones of those magnificent officers and men who did not return from Dieppe." "I was spared by fate to return to England, being the only officer who went into action with the Essex Scottish to be so fortunate. I had been attached to the Essex Scottish for the past three-and-a-half months and came to know and admire the officers and men very highly indeed. ..."
"From my own experience I know that Colonel Jasperson thought not of himself during the action but bent every effort to assist his troops. He gave leadership every inch of the way as did also the officers in the various companies and groups." "The men responded nobly to this excellent leadership and fought fearlessly all the time." "They were all heroes - every one - not a word of fear or complaint was uttered anywhere." "I do offer to all of you my deepest sympathy in your great loss but do remember - in their noble and fearless conduct they have set a shining example to the world. You must be very proud of them." "I personally am proud beyond words to have been privileged to serve with Colonel Jasperson and his gallant officers and men." C Company had also lost its radioman. Although the Essex Scottish section of the beach was only eight hundred meters long, the lack of radios and concentrated enemy fire made it difficult to maintain communications so that the companies could organize and breach the sea wall. 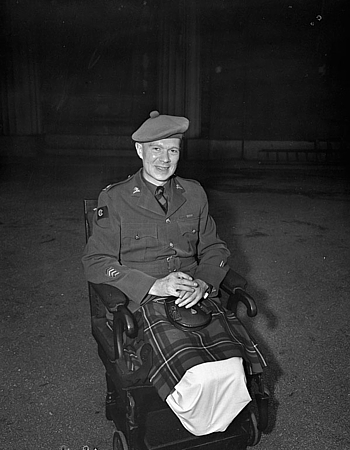 Captain Donald MacRae estimated that forty percent of the regiment was wounded or killed within twenty minutes of landing. Most of the rest remained trapped behind the sea wall. British Intelligence had failed to uncover detailed knowledge about the town, which the Germans had turned into a veritable fortress. They had razed buildings so that their weapons could have unobstructed fields of fire. Hotels hid snipers and sandbagged machine-guns. Gun emplacements were built in caves on the east headland. Even part of the casino had been demolished so that concrete pillboxes could be erected in the debris. Only a few small, intrepid groups managed to make it into town. 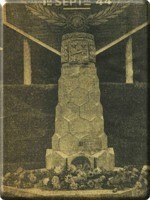 C.S.M. Cornelius Stapleton got his special ten-man platoon over the wall during a lull in the mortar fire and made "one mad dash" across the Promenade to a building on Boulevard de Verdun. Another group of nine men tried to follow Stapleton, but only two made it to the shelter of the buildings alive. With no signs of other Canadian soldiers in sight, Stapleton and his men retreated back towards the beach. The first tank to arrive behind the Essex Scottish was late and immediately disabled by artillery fire. The second tank was immobilized on the ramp of the Tank Landing Craft and several men were killed or wounded by the shrapnel that splattered from it. The rest of the tanks suffered similarly. Captain Walter L. McGregor, Jr., who led the surviving infantry to the beach from that vessel, remembered seeing only two tanks make it onto the Promenade in the Red Beach sector. The battle was effectively over for the Essex Scottish an hour after landing. The survivors hugged the sea wall under a storm of enemy fire, occasionally launching a rifle grenade into town. Their ammunition ran out by 10:30 A.M. Rescue craft began to arrive at 11:00 A.M. Amid a fog of fire and smoke, Captain MacRae loaded a wooden lifeboat with his wounded comrades and pushed it, swimming, four kilometers from shore, where they were picked up. Captain McGregor was on the radio with Deputy Army Commander Brigadier Churchill Mann asking for more landing craft when he saw that men from brigade headquarters were crossing the beach with a white flag raised in surrender. The Germans allowed Canadian officers to bring their wounded to the Promenade from the beach, where medical personnel attended to them according to the severity of their wounds. The officers were then taken by truck to a church in Enermeu, where they stayed the night. In the morning they were loaded into boxcars and transported to a prison camp outside Verneulles. Of the thirty-one Essex Scottish officers who landed on the beach of Dieppe, only Captain MacRae returned. Five hundred fifty-three men had sailed to France; only fifty-one men, twenty-seven of whom were wounded, returned to England. One hundred twenty-one were dead. The unit had suffered more casualties than any other Canadian unit in that raid: total Canadian casualties numbered 3,367 from a total force of 4,963. 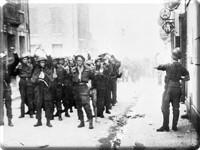 Close to two thousand of those were taken prisoner by the Germans, including Lieutenant-Colonel Jasperson, who, with the others, would not be released until after the wear's end. A memorial service for the dead of The Essex Scottish Regiment was held on 23 August; as on the morning of the raid, the sky was full of sun. For a detailed description of Tilston's heroics during the fighting in the Hochwald Forest, consult Antal, Duty Nobly Done, 506-511. See pages 695-697 for Captain Meanwell's citation of Tilston's actions, which led to the bestowment of the Victoria Cross. do not necessarily reflect those of the Government of Canada.